A feature I would like to see in a future Snapmaker, especially the large format units, is the ability for the laser to etch multiple objects. e.g. etching six drink coasters on the one run, rather than one at a time. I realise that is an option. It would be nice to have locations on the large build plate that could be used. A bit like defining multiple mini plates plates, where each one could be defined, possibly even different settings for each mini plate… let you imagination run with the possibilities. It would be hard to realize because you have to tell the software how big your material is and the exact spaces between. It’s much easier to do this in the CAD-file. I agree with rojaljelly on this. Your volume is typically governed by a representation of the build platform; giving you an idea of how much space you have to play with. For bulk operations using the same dimensions of objects, this should be all you need. However, if you are talking about multiple objects of different sizes and shape (components for a part, for example), you may have to use something like GrabCAD to “auto-arrange” several jobs. I think Doug was specifically referring to laser printing. With 3D Printing one can already load multiple objects or a single given object multiple times onto the bed. It would be very userfriendly if i can save laser module settings some file. At the moment i can bring several pictures on work area, scale, type text and adjust multipath and power settings. But i can only save it gcode and export it work area and if some settings need to adjusted next day iwill lose all previous work. And start over scaling and so on. If you are asking for improvements or add-ons - We would like to see a projected image for laser and cnc engraving, making it easier to set up materials and center them or print off center. Or project the grid in real time on the project surface. It would also be nice to have a grid on the bed (etched or a decal?). I saw somewhere that you can already do something similar to this by engraving a square in the scrap board bed (you would need to be using one), placing your object to be engraved in it, taking a picture of it, and use the picture in the software to help you place the image to be engraved. Not sure if this is a released feature already, but it is (will) be something. 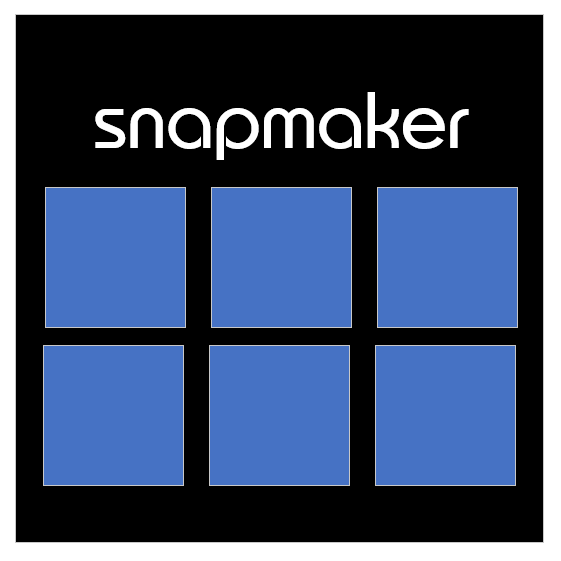 I don’t think that projecting a preview of the image (like you see in those fast metal/leather/gun engraving videos/gifs) is possible if the hardware SnapMaker has.